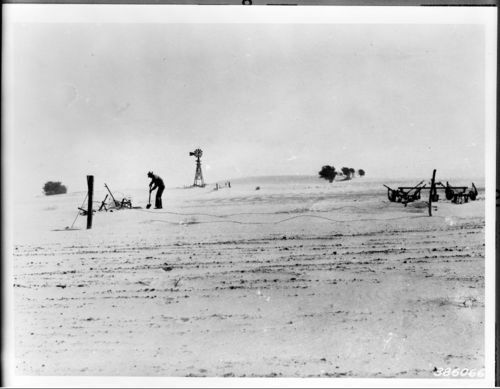 This photograph shows a farmer shoveling dust from implements and uncovering food for livestock. The dust began to blow in 1933 and for four years western Kansas was part of the "Dust Bowl". This image effectively illustrates the barrenness of fields that had once been fruitful and allows students to understand the severity of the Dust Bowl.